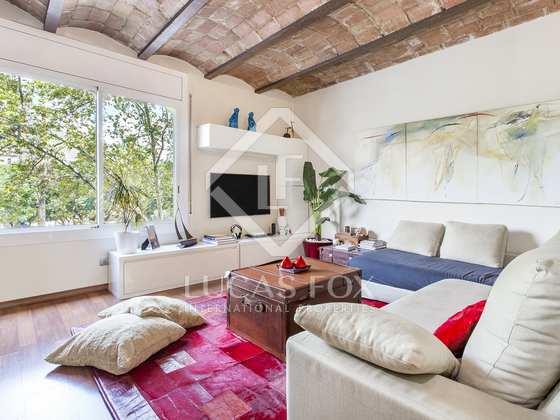 Unique loft-style property with incredible views of Plaça Tetuan in Eixample Right, on Passeig Sant Joan. 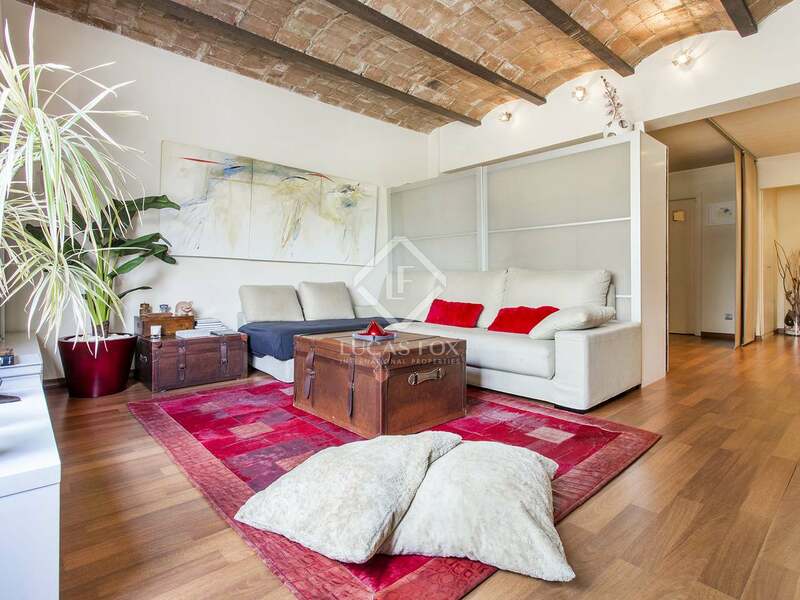 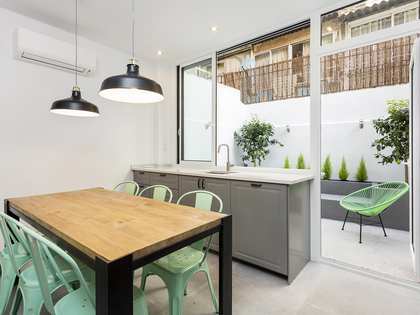 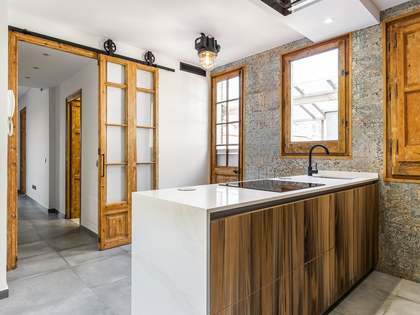 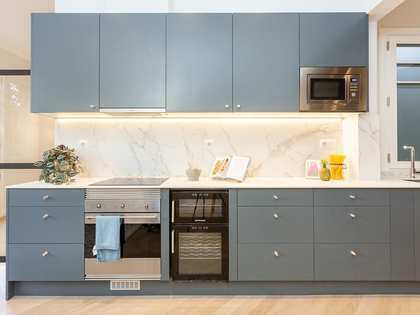 Built in the early 20th century but recently renovated in the last 5 years, this wonderful, bright, open plan property enjoys a fabulous location in the best part of the Eixample. 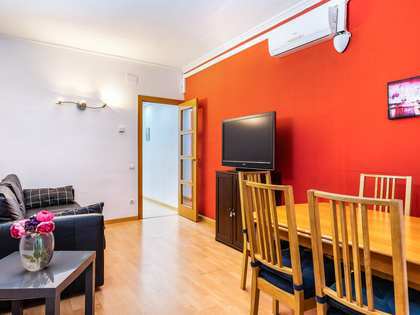 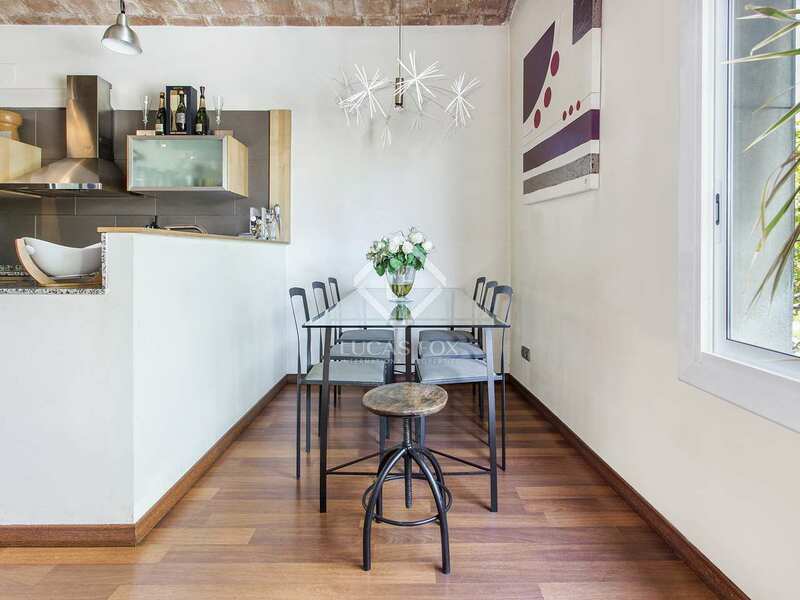 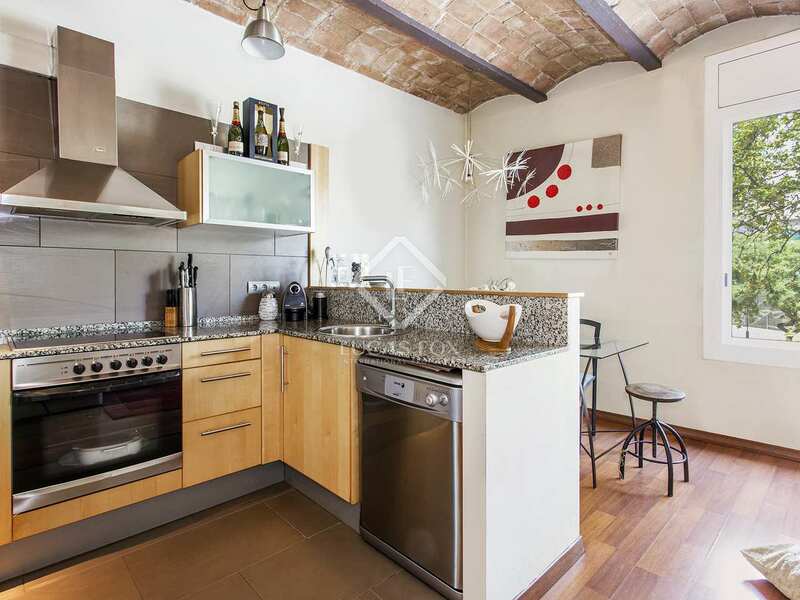 Located right on Passeig Sant Joan, with incredible views of Plaça Tetuan, the apartment offers all sorts of bars, restaurants, parks and public transport services on the doorstep. It is found on the first floor (second real) of a beautiful Modernista building with views over the tree tops and the apartment boasts modern finishes with Modernista features such as the typical Catalan vaulted ceilings. Being completely open plan, the property has a versatile layout. 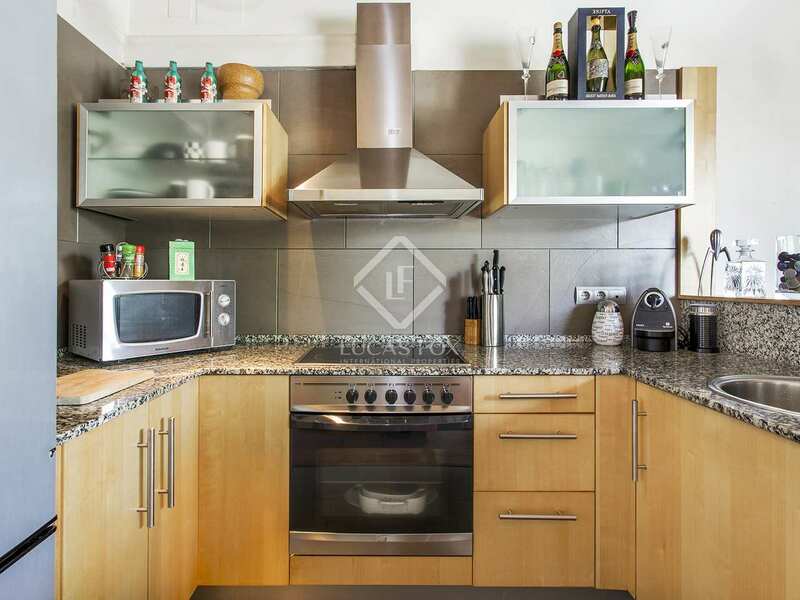 It currently offers a living, dining and kitchen area, 1 bedroom and 1 bathroom. 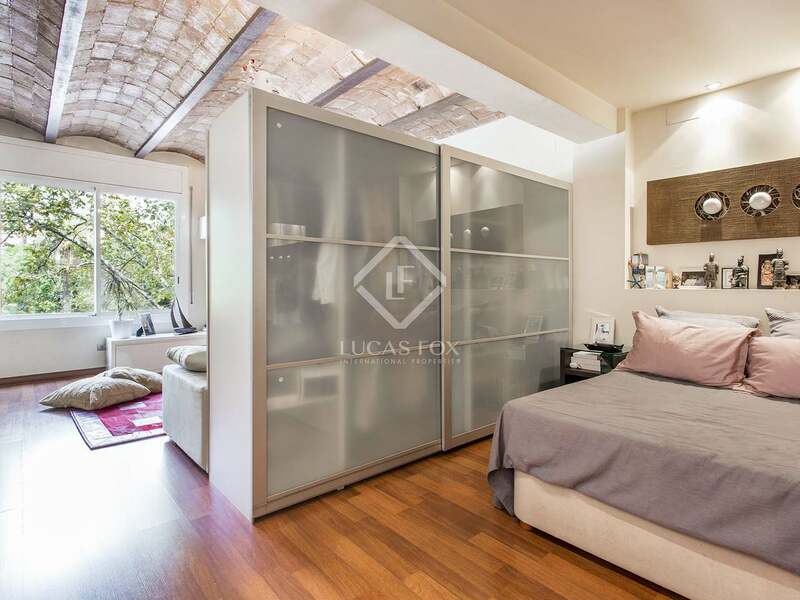 The Nota Simple shows a size of 57 m² but the real built size of the apartment is 63 m². 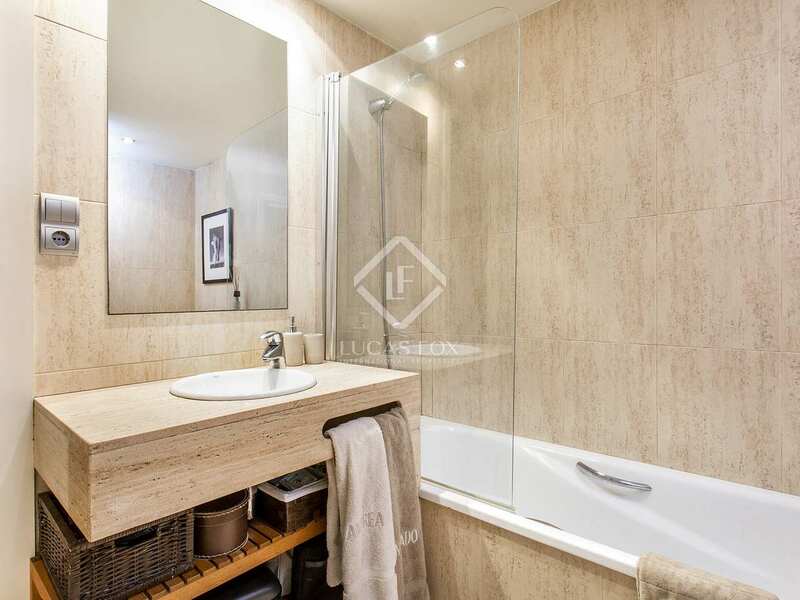 The property has great energy efficiency and would offer excellent rental yield as it is in an attractive building in an unrivalled city location. 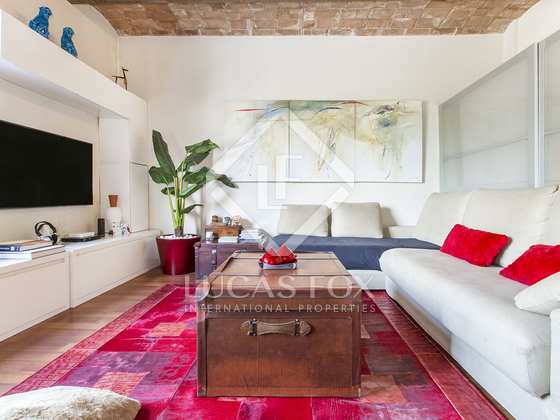 A unique Barcelona property at a great price; ideal for a couple, singles and investors. 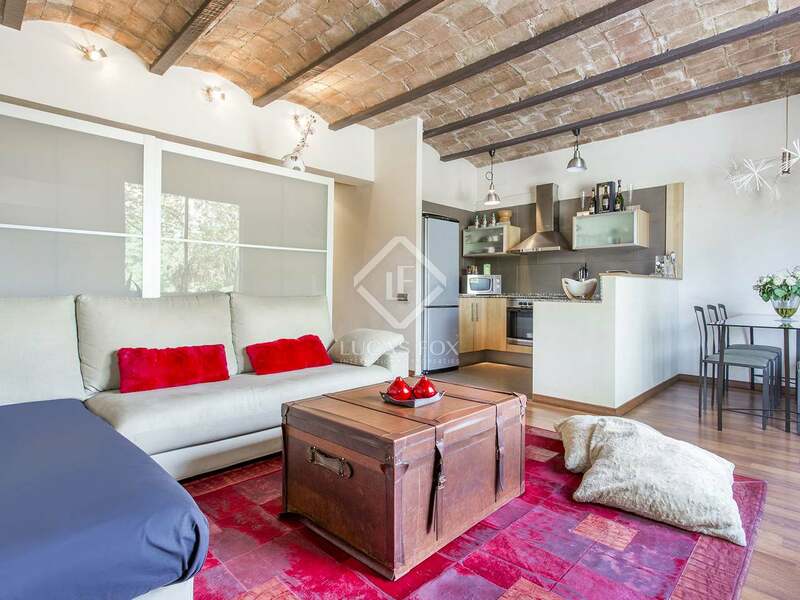 The property has a versatile open plan loft-style layout that is currently organised as a bedroom, bathroom, kitchen and living area. 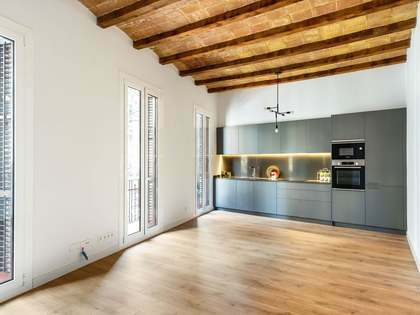 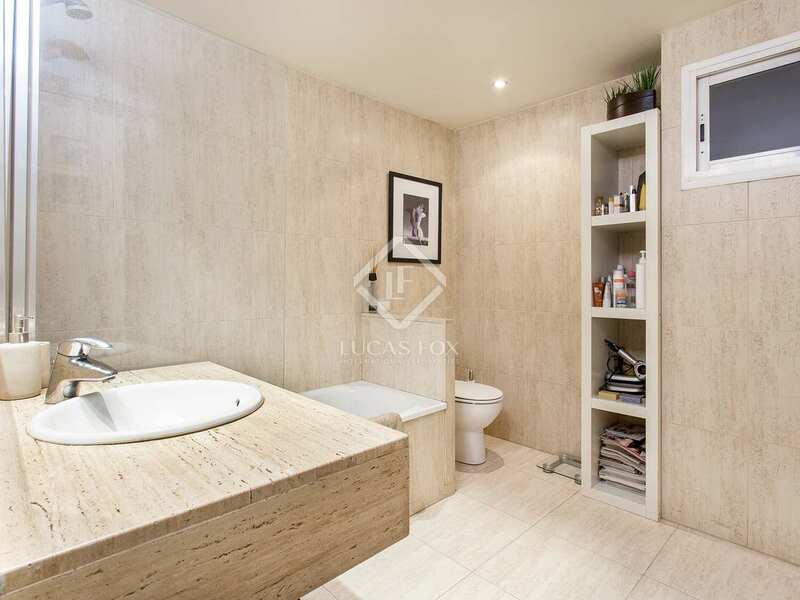 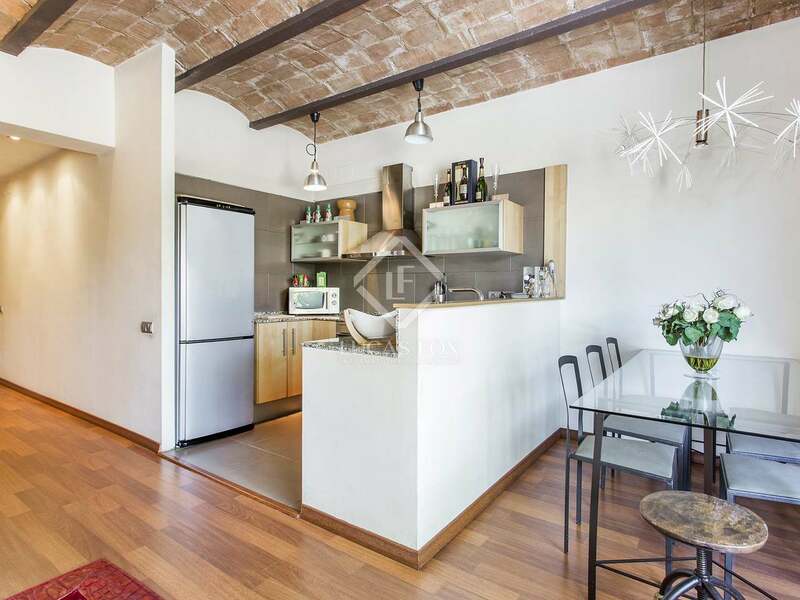 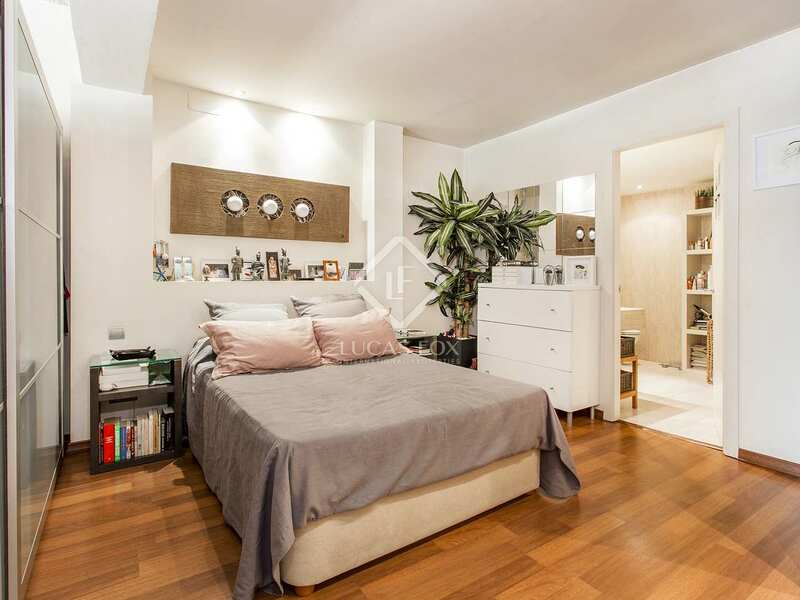 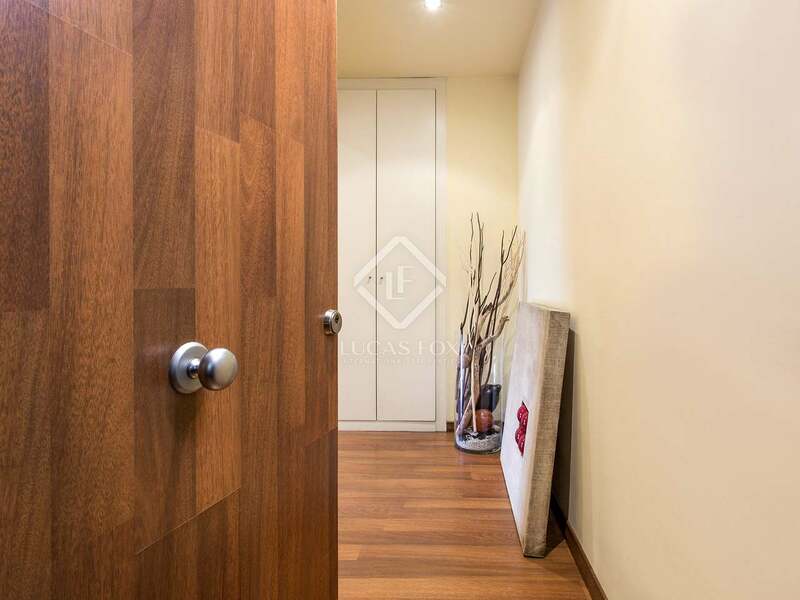 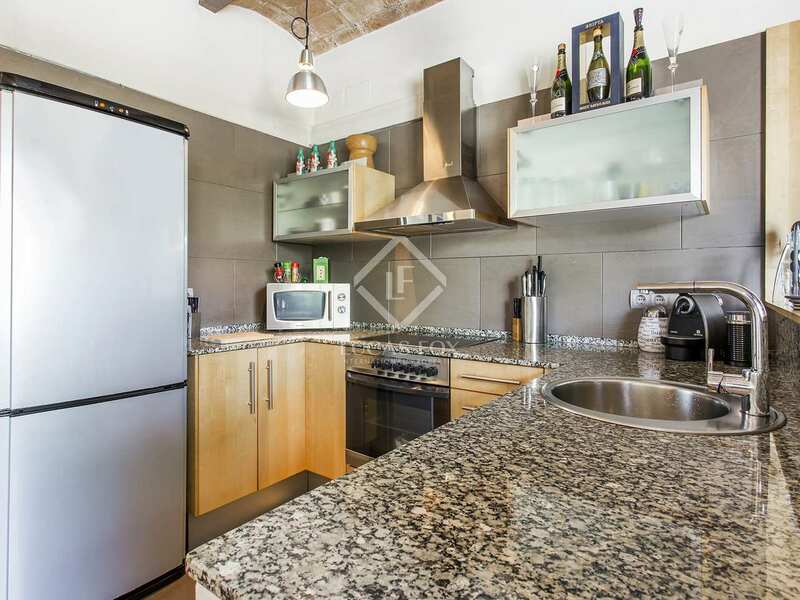 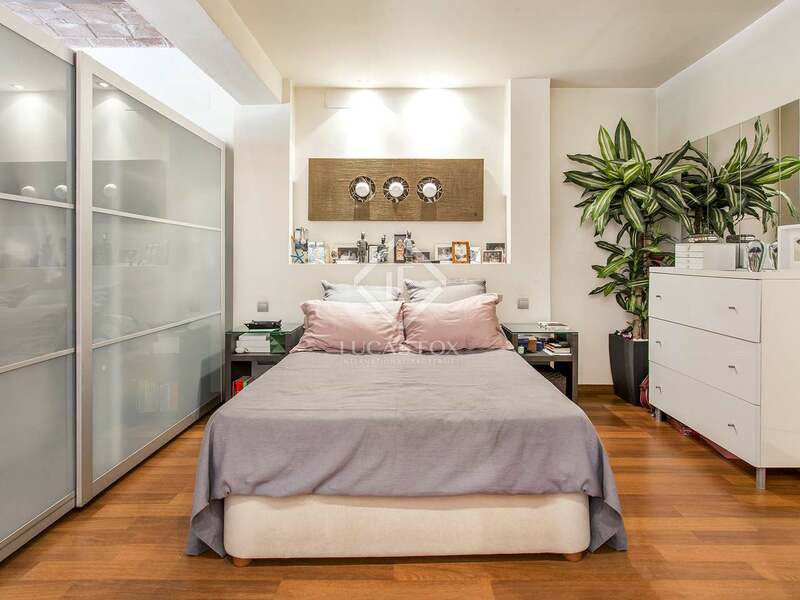 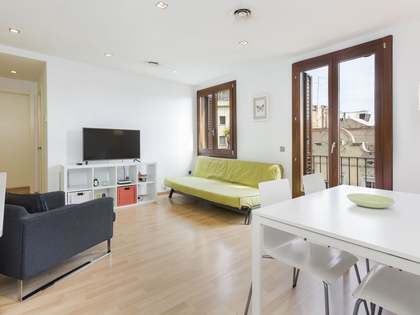 Property on Passeig Sant Joan with views of Plaça Tetuan, in one of the best parts of the Eixample Right, walking distance to Arc de Triomf, bars, restaurants, buses, metros, nightlife, etc.